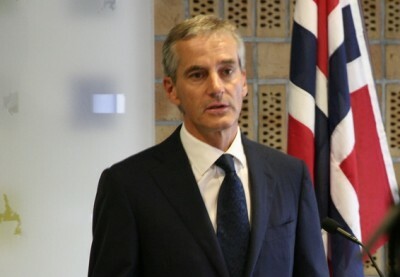 Jonas Gahr Støre, the new leader of Norway’s Labour Party, conducted secret negotiations with the Gadhafi regime in Libya at the same time that Norway was taking part, even leading, bombing raids over Libya organized by NATO. Støre, who was foreign minister in Jens Stoltenberg’s Labour-led government at the time, has confirmed the talks, which are revealed in an unauthorized biolgraphy of Støre by author Ståle Wig. As civil war raged in the country, and NATO claimed it was trying to protect civilians with the bombing of government facilities, two of Støre’s “hand-picked men” were in Libya’s capital of Tripoli. They even followed events directly on TV together with Moammar Gadhafi’s son, Saif al-Islam Gadhafi. Støre was foreign minister in the left-center government led by Jens Stoltenberg, who recently took over as secretary general of NATO. Wig told Norwegian Broadcasting (NRK) on Thursday that negotiations were conducted in several places, “here in Oslo, in Western Europe and in Tunisia.” Wig said he had interviewed “the central players” and also has several anonymous sources. Officials at Norway’s foreign ministry had no comment on Norway’s involvement in the talks. Wig claimed there was a even premise that the ministry could deny the talks occurred, after a Russian diplomat leaked some information about them in Libya. Støre reportedly played a key role in the talks, and had warned the United Nations against backing military intervention in Libya just a few days before the UN approved it. Wig’s book describes how Støre led a meeting where it was decided that Jon Hanssen-Bauer and peace researcher Henrik Thune, whom Støre had recruited to the ministry, should lead the negotiations. 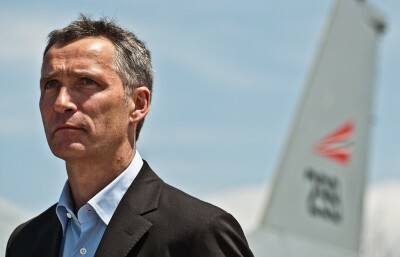 Stoltenberg, who took over as NATO’s boss last week, actively supported the bombing of Libya, sending Norwegian fighter jets into the operation and visiting their crews based on Crete. The Norwegian jets were credited with many of the most successful strikes on Gadhafi’s military facilities. Wig told NRK there is reason to believe that Støre was more skeptical to the bombing than Stoltenberg when the issue first arose. “They stood together when the decision (to bomb Libya) was made, but according to my sources and in part to Støre himself, Støre was more restrained about the question of military intervention,” Wig told NRK. The bombing began on March 19 and Støre’s men left the country. With air travel impossible, they traveled over land into Tunisia. Negotiations, however, continued even after Norwegian fighter jets went into action. According to Wig’s book, Støre received delegations from both sides in his office in Oslo in April 2011. Talks stranded over the plans for Gadhafi’s future. On October 20, 2011, his convoy was bombed by NATO, Gadhafi fled and hid in a concrete pipe, but was later found, paraded through the streets, abused, shot and killed. HIs son was taken prisoner a few days later, remains in detention and risks the death sentence.